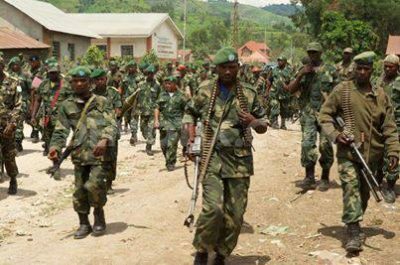 Following the launch of the Congolese FARDC army’s military operation against the Democratic Forces for the Liberation of Rwanda FDLR, thirty three rebel troops have reportedly been captured by the DRC armed forces. In addition to this, forty two troops surrendered to the UN peacekeeping mission, MONUSCO in the province of North Kivu, giving a total of seventy five Rwandan rebels that have disarmed this weekend. Among the forty two who went to MONUSCO, thirty nine were repatriated to their country, with the three remaining troops to be reintegrated into the disarmament, repatriation, reintegration and resettlement programme in place, as stated by government spokesman Lambert Mende. According to the administration of North Kivu which released a statement Saturday at the start of these operations, the Congolese army dislodged the FDLR villages of Kazaroho, Kirumba and strategic Chahi Hill, one of the main bastions of Rwandan rebels. Other sources in the Rutshuru region report that clashes also took place in the towns of Katale, Kitchanga, Mabenga and Kasali. 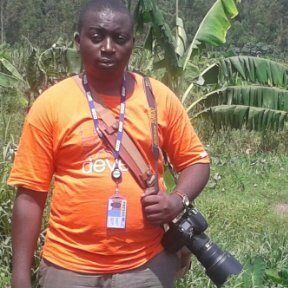 Press reports from the neighbouring territory of Masisi confirm the arrest in Mwesso by the Congolese army FARDC of an officer of the FDLR, identified as one of the coordinators of the command of Rwandan rebels. The government of North Kivu welcomes the start of the offensive against the FDLR and ensures its support for the Congolese army. It calls on the people of the province to work with the army to succeed these operations. The governor of the province, Julien Paluku, confirmed the start of the FARDC offensive against the FDLR. “Yes, I confirm the operation. At the present moment we are in the actual implementation of these operations then, “he told local media. Regarding the statement of operations, he indicated that it was too early to tell, but added without elaborating that there are those wounded and captured. “The results are very satisfactory. The population welcomed the release of certain localities around Tongo that were once controlled by the FDLR”Paluku stated. The Congolese army announced in January the start of operations against the FDLR, but the fighting had not at that point commenced. The armed forces of the DRC, FARDC, are conducting these operations alone, without the support of MONUSCO, the organisation’s support suspended following serious human rights violations by two Congolese army generals.